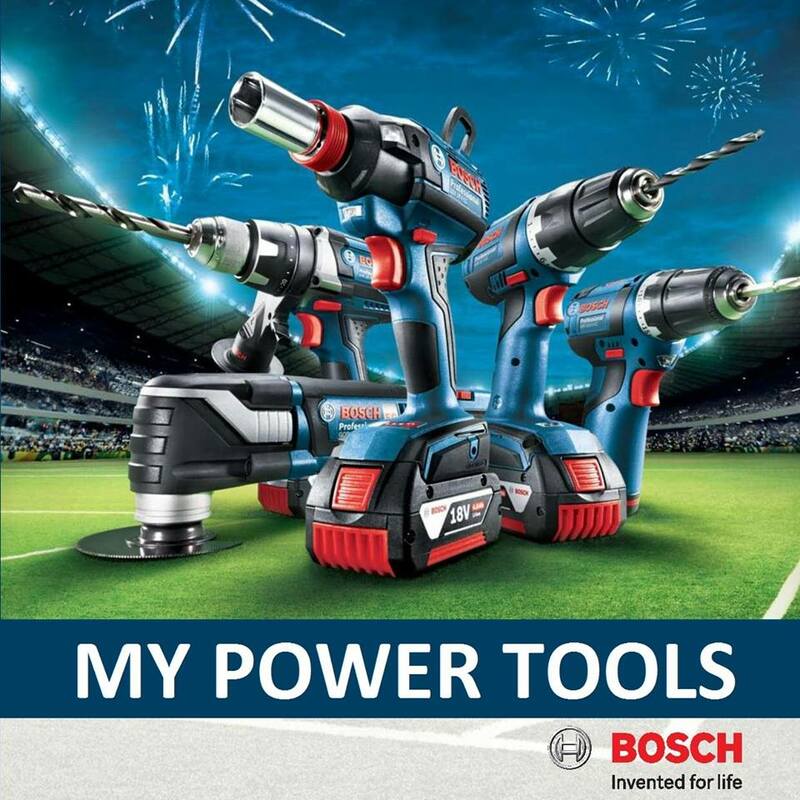 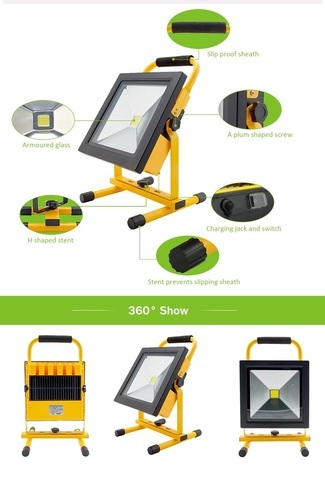 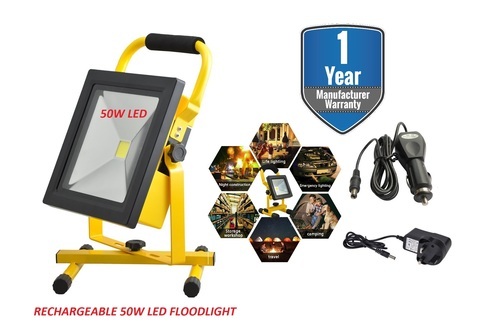 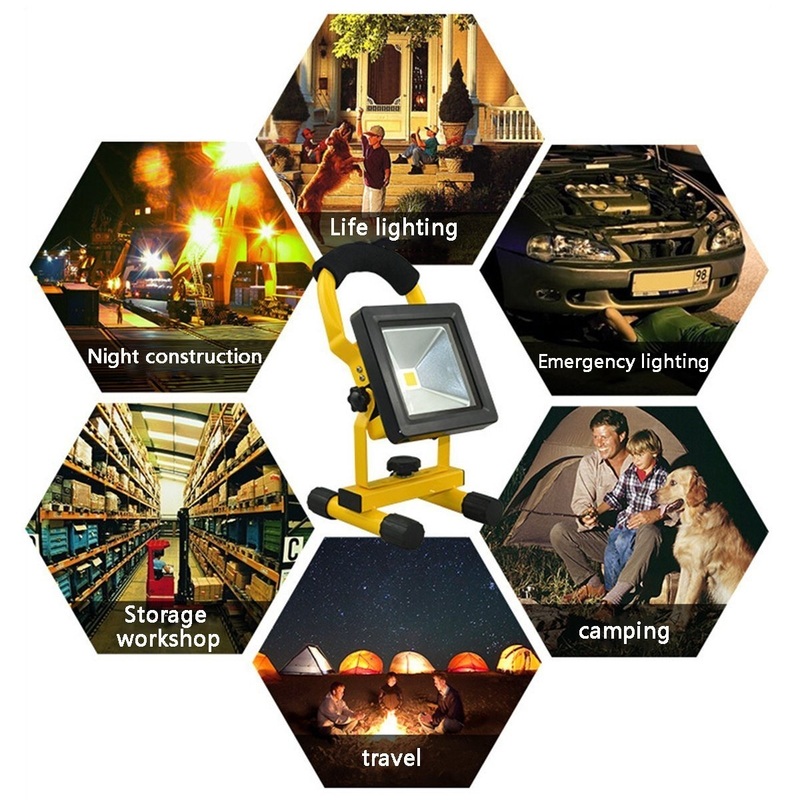 MY Professional 50W LED Rechargeable Portable Work Light.. 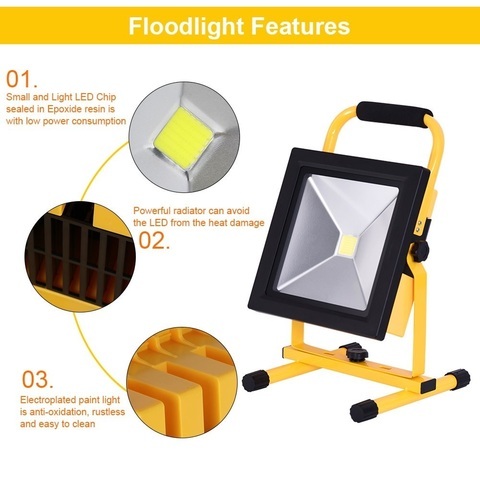 This Torch is the slim line version in the flood light range it is a choice in a million as it has beautiful bright light with rechargeable battery. This light has been designed with High Robust material, the product holds charge well and comes with mains charger and in car charger. 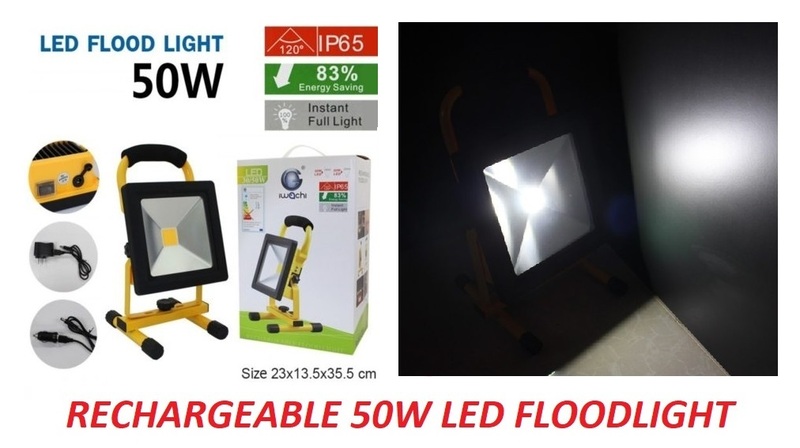 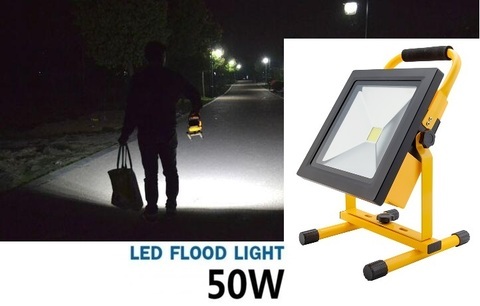 The 50W portable floodlight is an ideal choice as a work light due to its brightness and rechargeable features which allows them work for prolonged hours once charged in full. 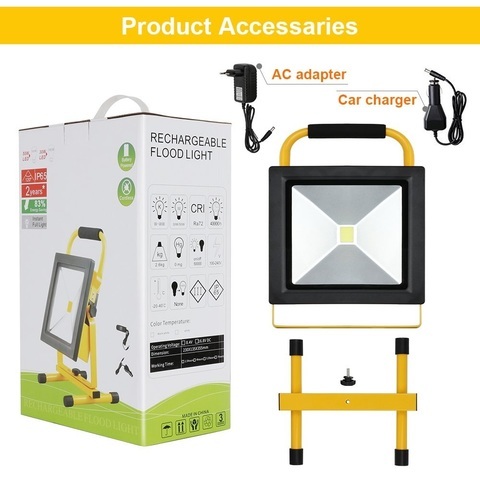 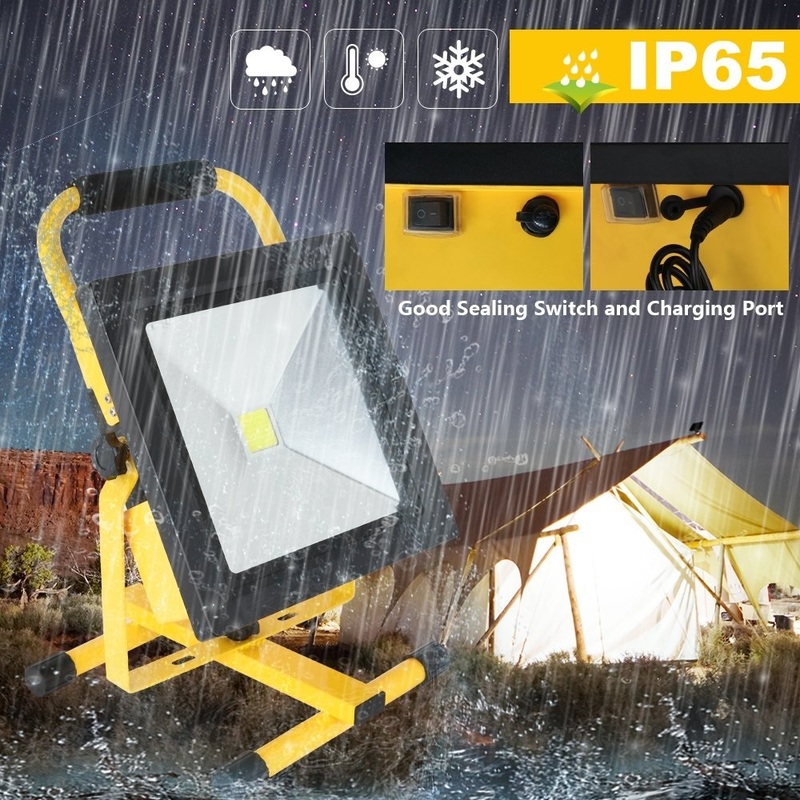 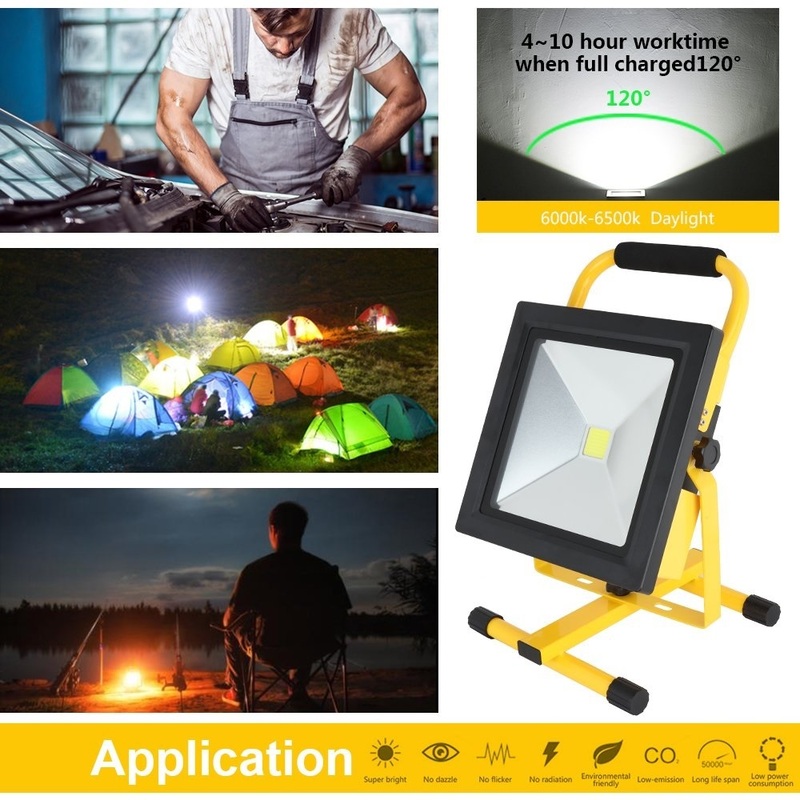 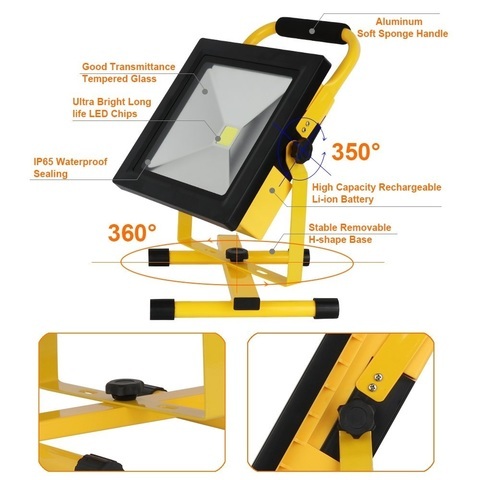 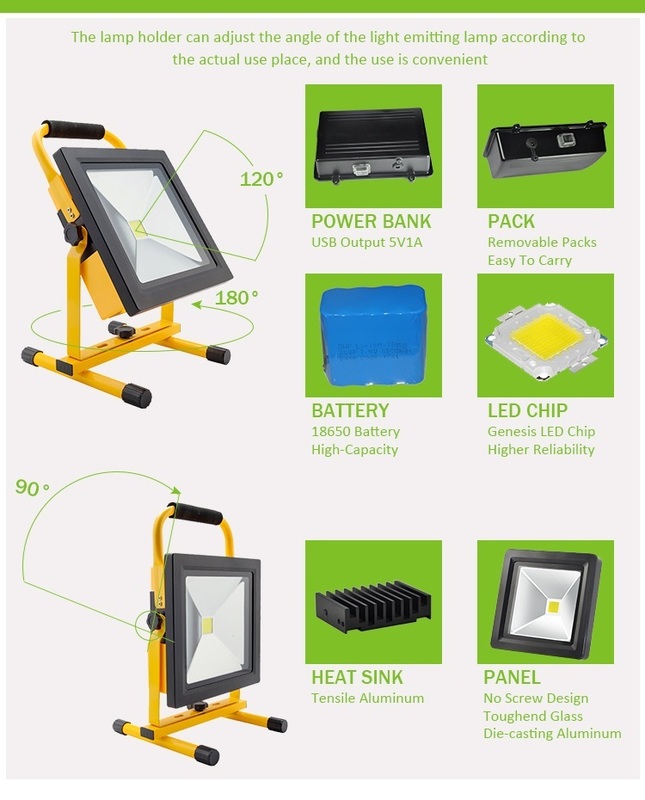 The portable floodlight is ideal for environments of work such as garage centres, warehouses, building trade and even can be used for camping, hiking to light up a large area for sharp clear light.